In anticipation for the new Star Trek film, Into Darkness, I've been packing my nights with as many episodes of TOS that I can (about 3-4 a night). 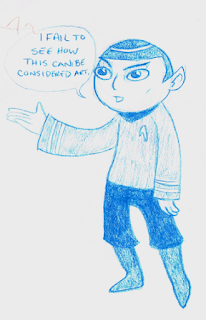 Subsequently my sketchbook is now packed with Star Trek scribblings. Here are just a couple. Cartoon Spock making fun of my other awful drawings (I'll spare you the image he is referring to). Me in my female Starfleet uniform. This one John requested. 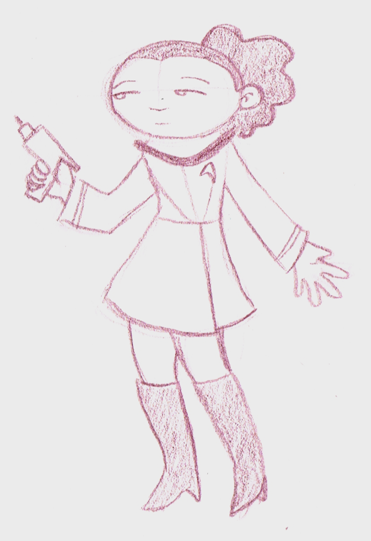 It's TNG era. John as Worf and me as Troi. 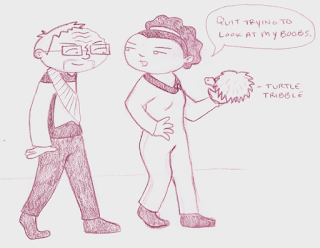 He requested that Boris be a tribble for some reason. Did a little traditional vs digital test. Mostly, because I hadn't done and digital painting in a while. So here it is. 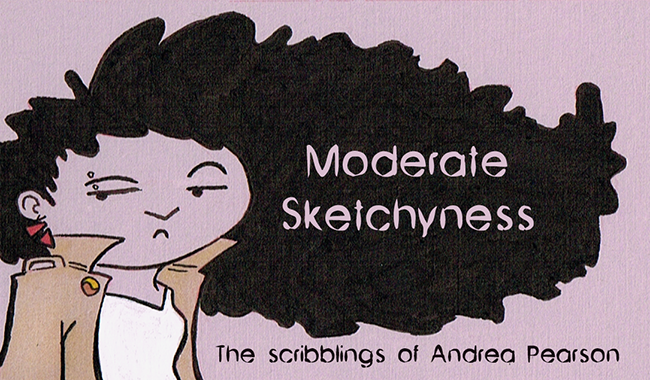 It's a little unfair, because I did the colored ink version in my sketchbook and the paper wasn't ideal for painting. Whatever. Enjoy!